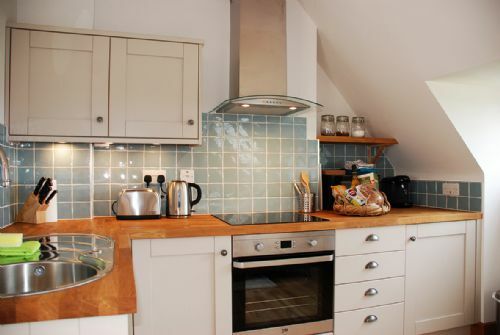 A luxury one bed apartment with fabulous views to the north, south and east. An extended stay whilst house hunting . Evelyn and Ralph were super hosts and the love and care they both put into thisi Art & Crafts architectural gem is clear throughout. All of this makes it a great place to spend time. 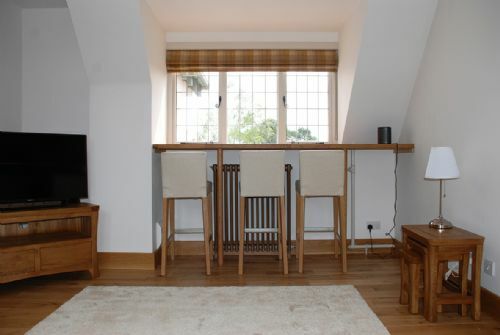 A beautifully appointed apartment, in a good location, with a very warm welcome from the owners. Thoroughly recommended. Lovely apartment. Friendly and very helpful hostess. Catered for gluten free dietary needs. Most welcoming. 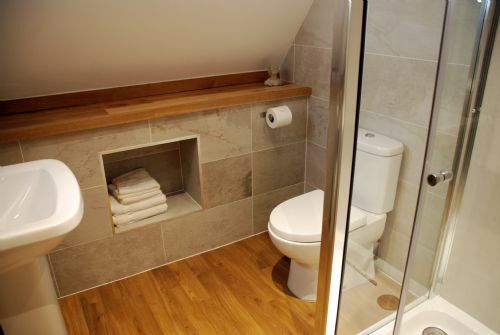 High standard of stylish comfortable accommodation. A very warm welcome with knowledgeable assistance and service, which was definitely not intrusive. 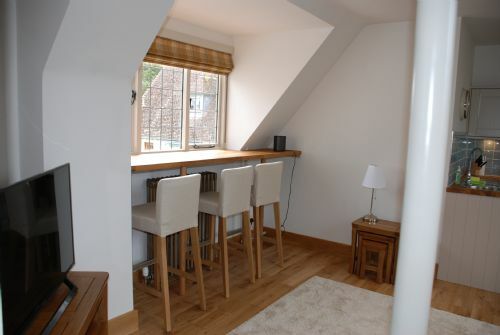 The cottage was beautifully furnished with nice touches but still had a relaxed feel and was very comfortable. 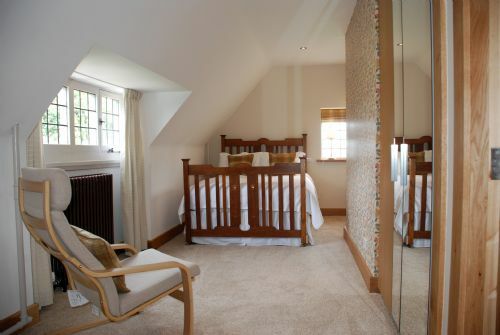 The bed and shower were fabulous and absolutely spotless. The courtyard and gardens are stunning and the welcome pack was more than adequate. Would definitely recommend. This was our second stay in the apartment. It was just as lovely as our first time. The apartment is so beautifully decorated and comfortable you immediately feel at home, every comfort is taken care of, including groceries to start you of - very practical when arriving late. We wouldn't think of going anywhere else. 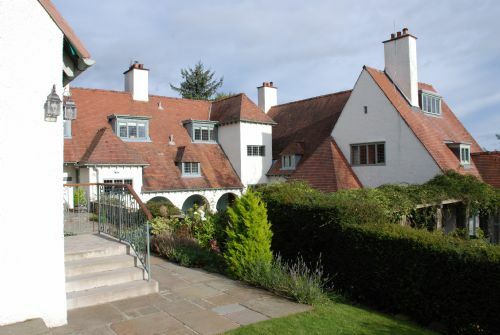 As an Arts and Crafts enthusiast, I'm convinced that Baillie-Scott would be happy with what Ralph and Evelyn have fine with the house. He would also be impressed by the extension and what Ralph and Evelyn have done with that. It's a delight to stay there. 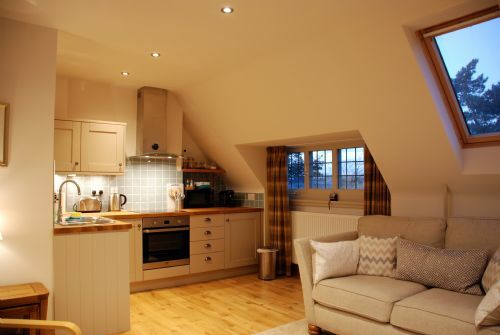 The cottages are very comfortable and retain that Arts and Crafts feel. Thoroughly recommended! 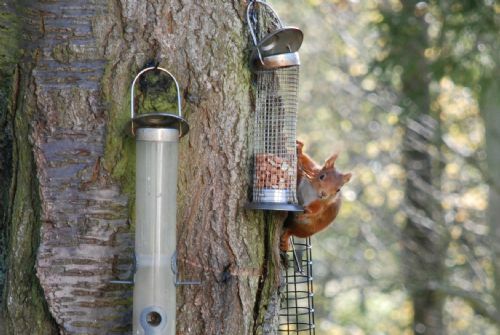 We stayed in Red Squirrel, Sandford Country Cottages for a few days. 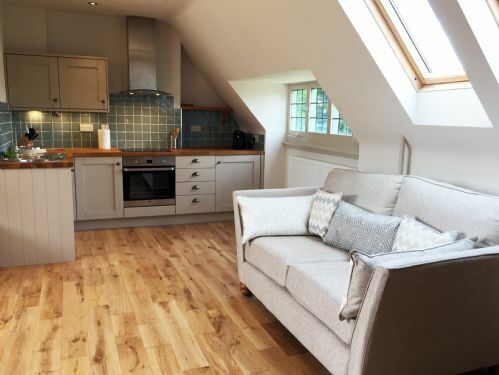 It was absolutely delightful - from Evelyn’s warm welcome (including breakfast foods, coffee, tea and biscuits) to the very comfy bed and lovely, beautifully designed living area. It was also very peaceful. Strongly recommended by us for a holiday all year round. 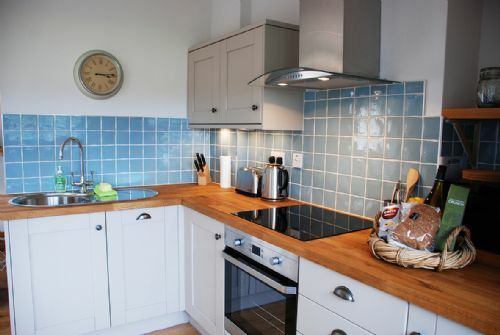 The flat was lovely, tastefully decorated and in pristine condition, very comfortable and welcoming. We enjoyed our stay very much, and have already booked to return next year. 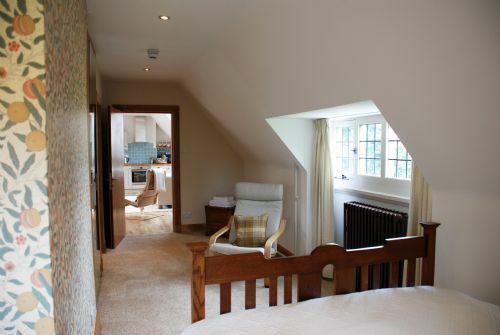 This accommodation is simply gorgeous, as are the other Cottages. We really enjoyed looking around the whole property, including the owners part. The owners, Ralph and Evelyn are warm and welcoming. There's plenty to see and do locally if within a short drive. Falkirk wheel and Stirling Castle we well worth a visit. You have to go to Arbroath to try the "smokies". A great spot for a short break or longer holiday. Christmas here would be beautiful. The views from the Cottages is stunning.